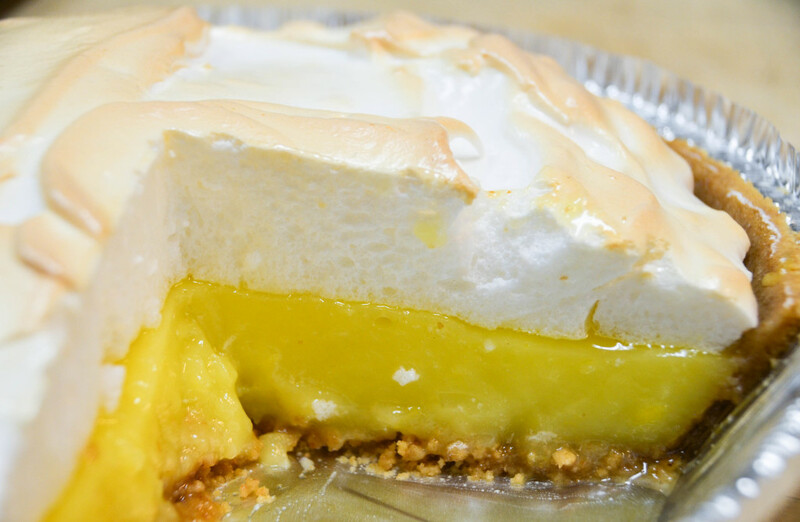 When life gives you lemons, question yourself twice before baking this lemon meringue pie. 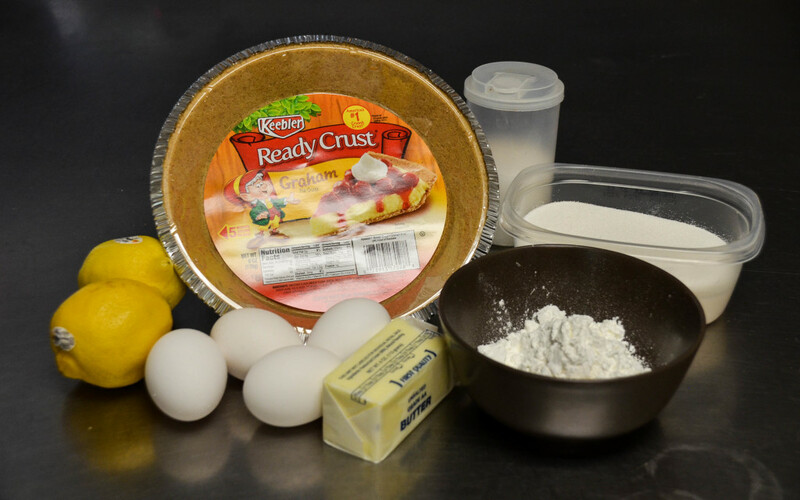 While the presentation of this pie doesn’t ask for much, the baking process is much harder than it looks. 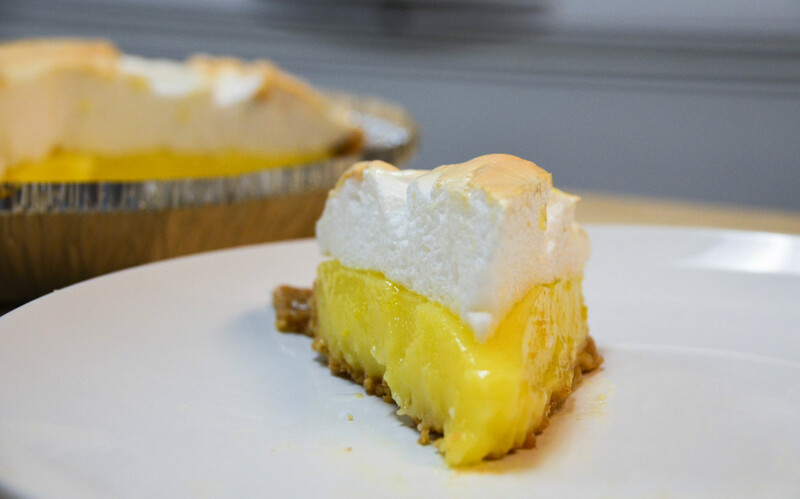 But even if you end up struggling with shrinking meringue or a “weeping” lemon filling, the end result will undoubtedly provide a tasty treat and a story to share over pie—in one form or another. 3. 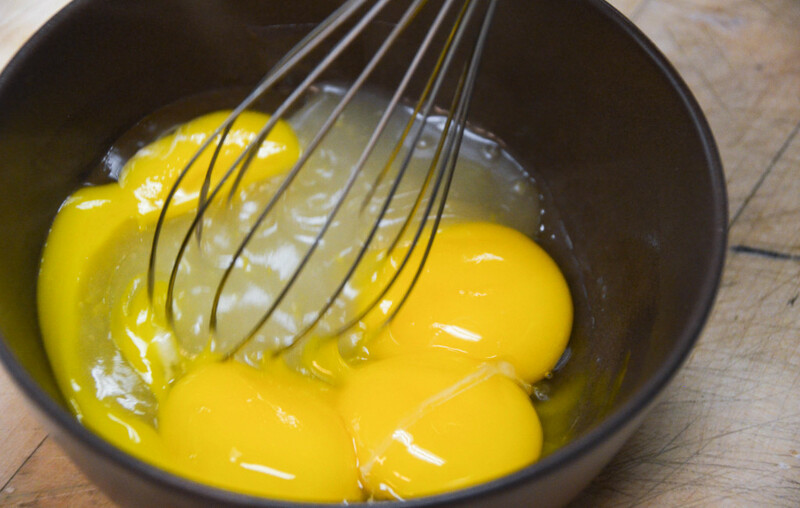 Separate eggs. 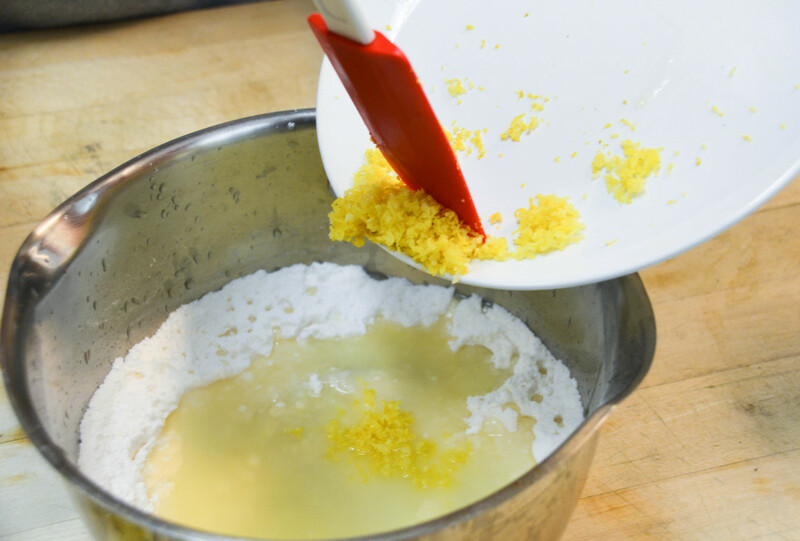 Place yolks in a small bowl and whites in a large mixing bowl. 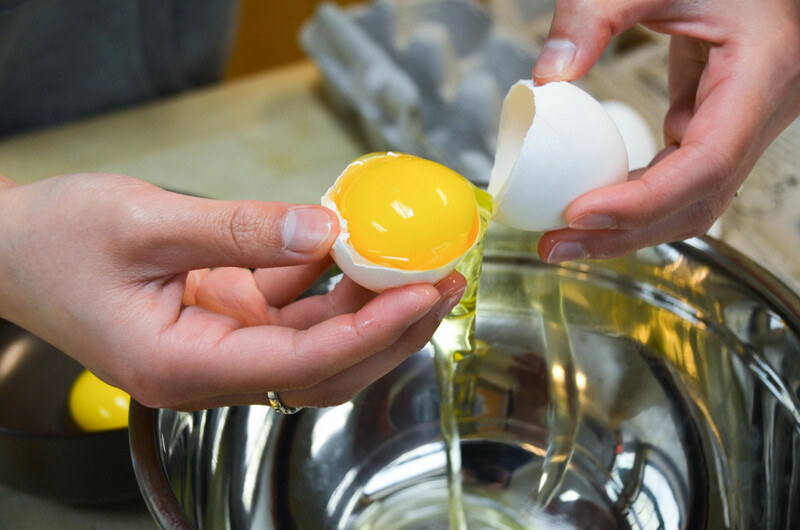 Spoon tip: Use the shell halves to carefully pass the yolk around while letting the egg white drip into the mixing bowl. 4. 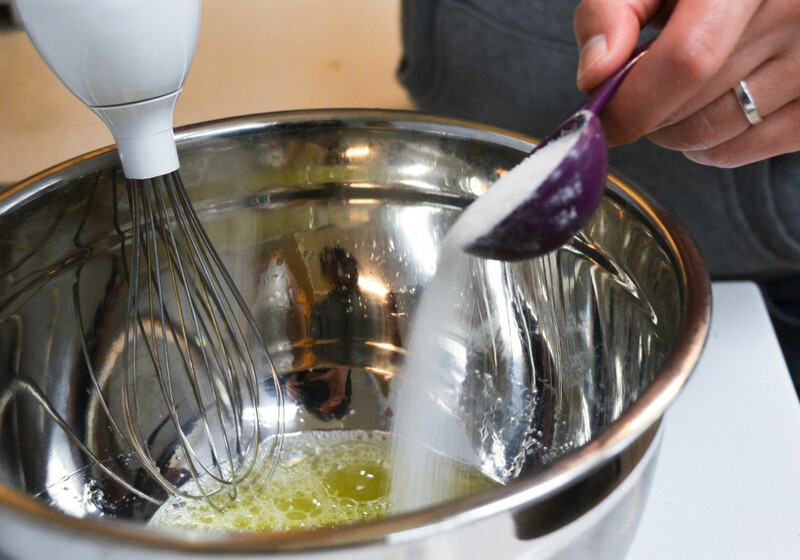 Whisk together 1 cup sugar, flour, cornstarch and salt together in a medium saucepan. 5. 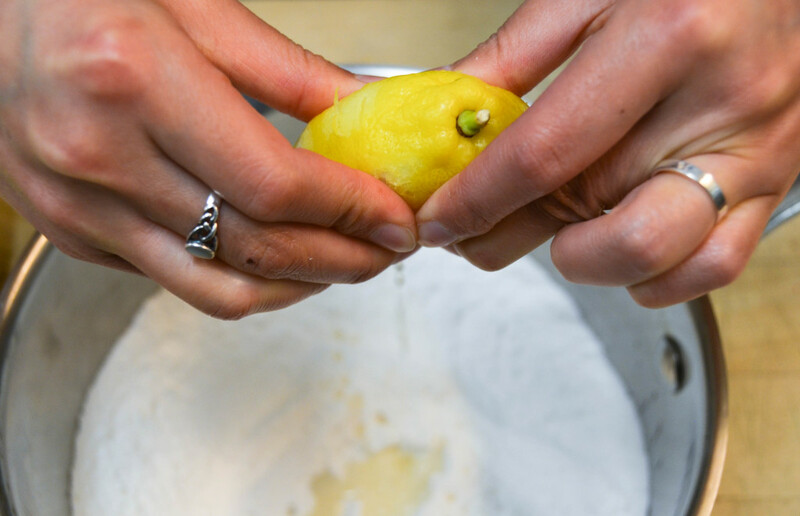 Stir in lemon zest and water. 6. 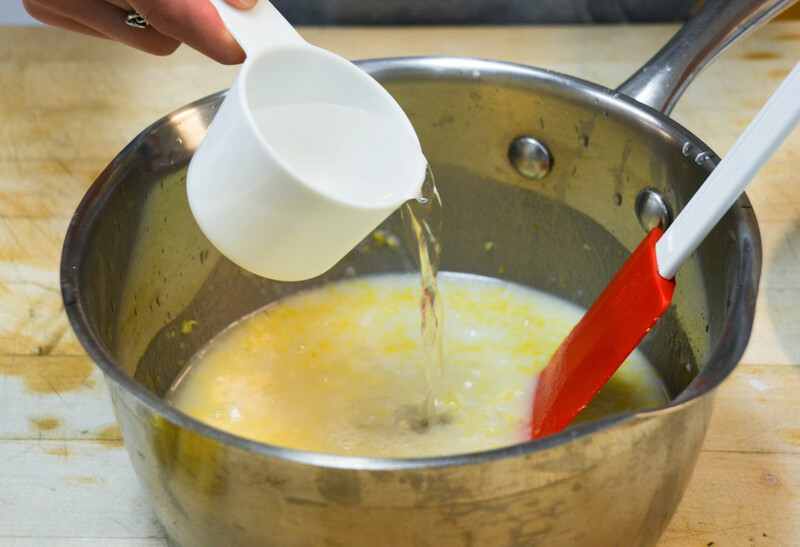 Juice the lemons into the saucepan and stir. 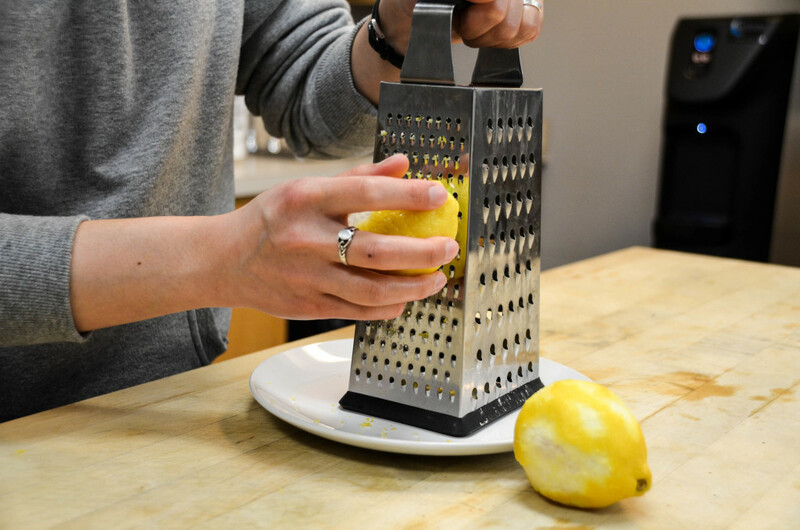 Spoon tip: Microwave your lemons for 20 seconds for optimal juice yield. 7. 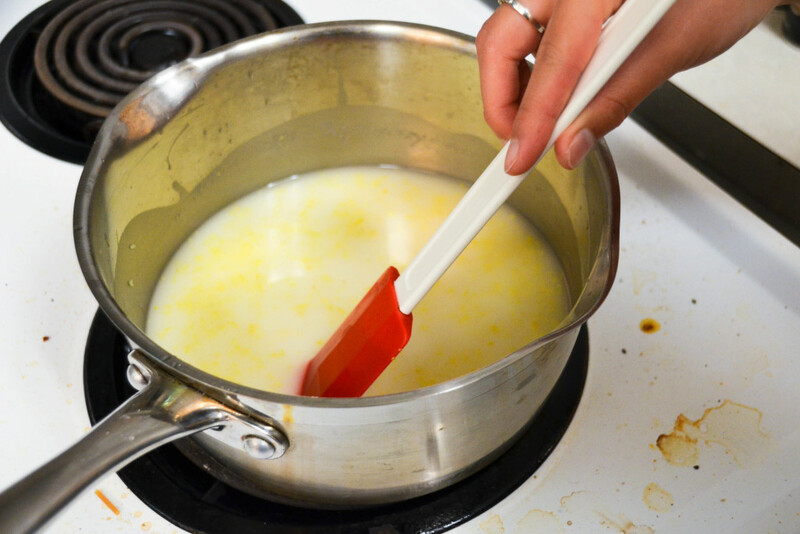 Cook on medium-high heat, stirring constantly, until mixture boils. 10. 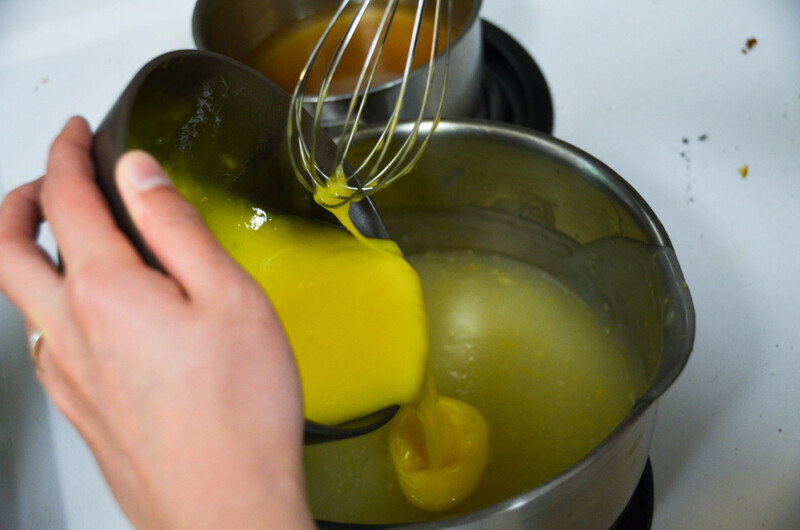 Whisk egg yolk mixture back into the saucepan and return to a boil. Stir until the mixture thickens. 11. Remove from heat. 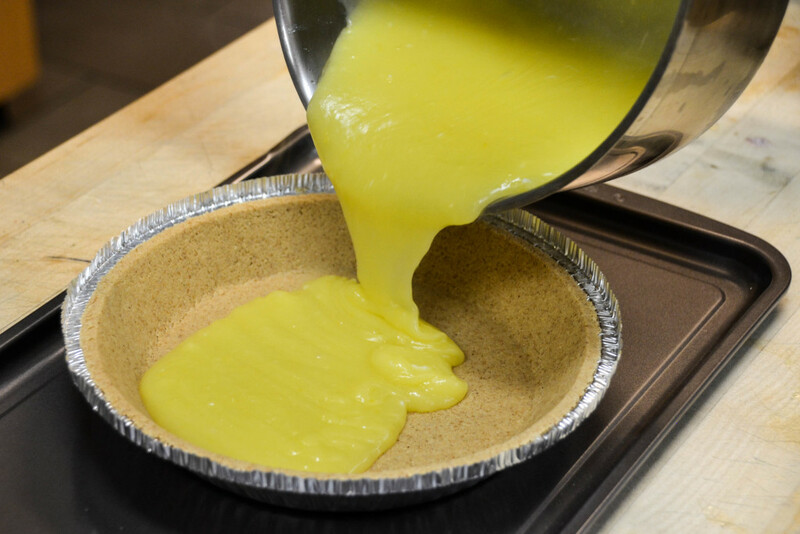 Pour filling into baked (we used a pre-baked) pastry shell. 12. 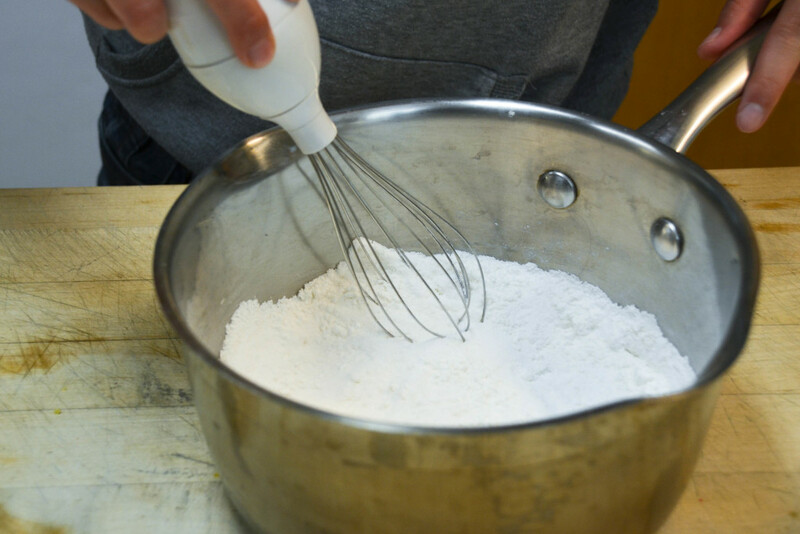 Take the mixing bowl with the egg whites and whip until foamy. 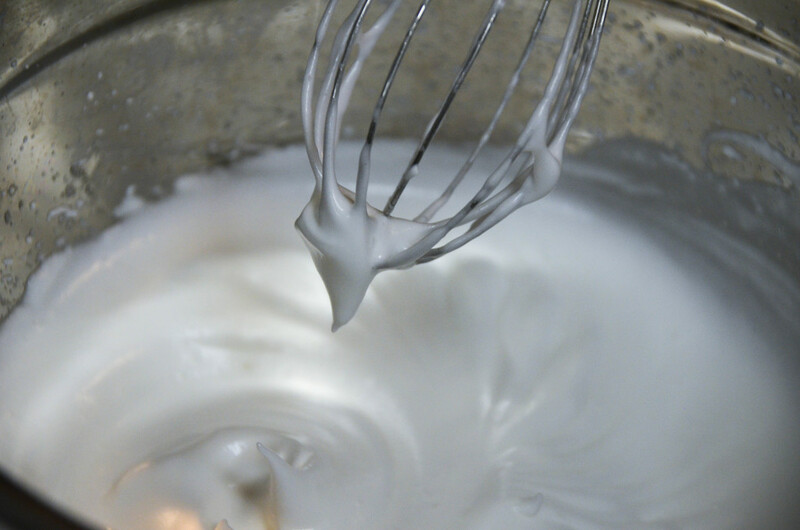 Spoon tip: Make sure there is no trace of yolk in the whites, or your meringue will not turn out properly. 13. 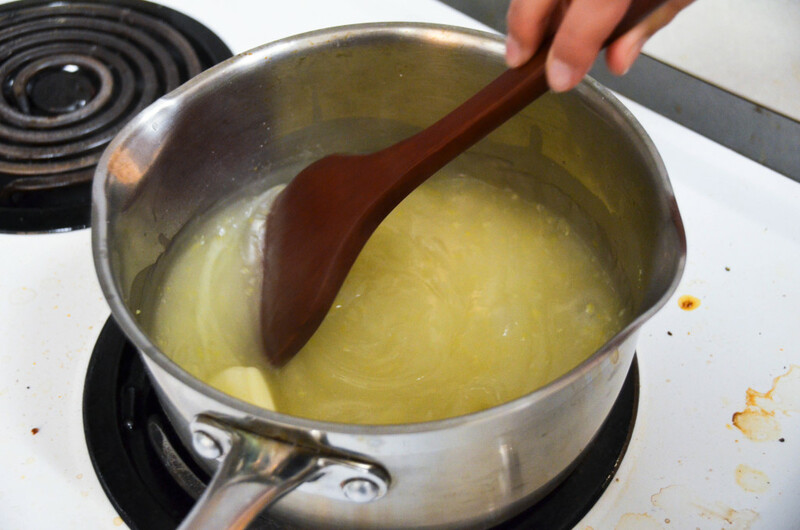 Add 6 tablespoons of sugar gradually, whipping between each tablespoon. 14. 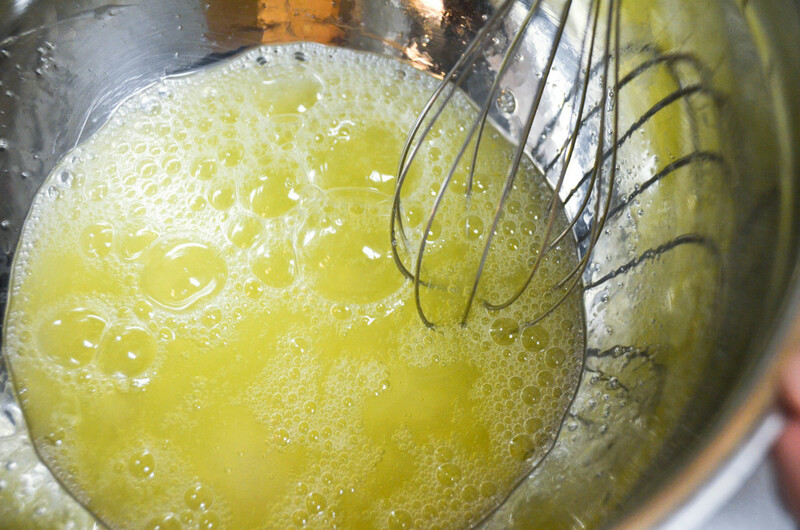 Continue whipping the eggs until stiff peaks form. Spoon tip: Have good company over. This will take about 10 minutes, if you’re lucky. 15. 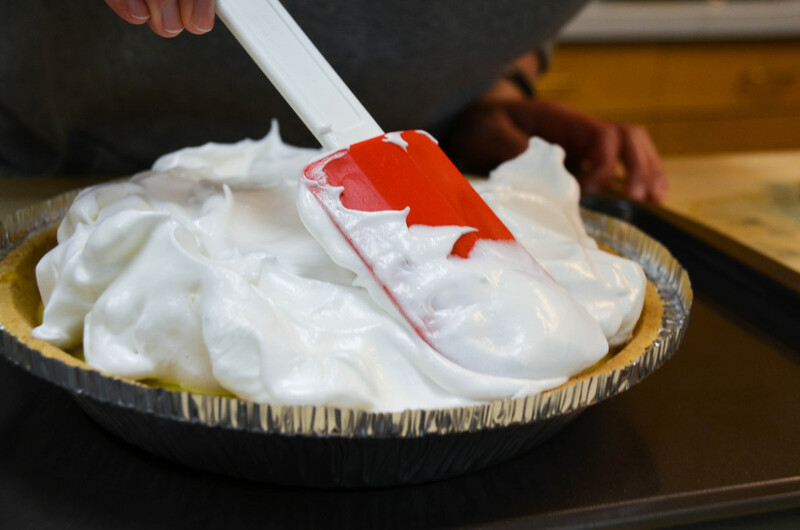 Spread meringue over pie. Make sure to seal the edges at the crust. 16. 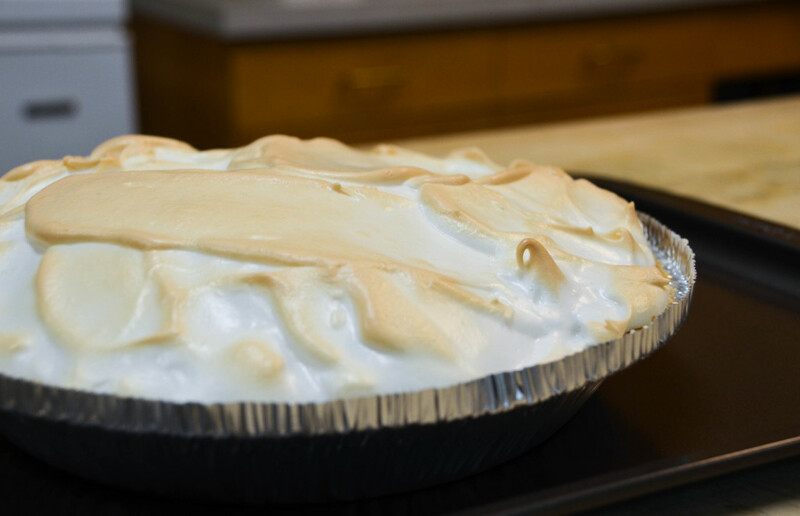 Bake for 10 minutes, or until the meringue has turned golden brown. 17. Cool at room temperature (this works best on a wire cooling rack) until the pie is at room temperature. 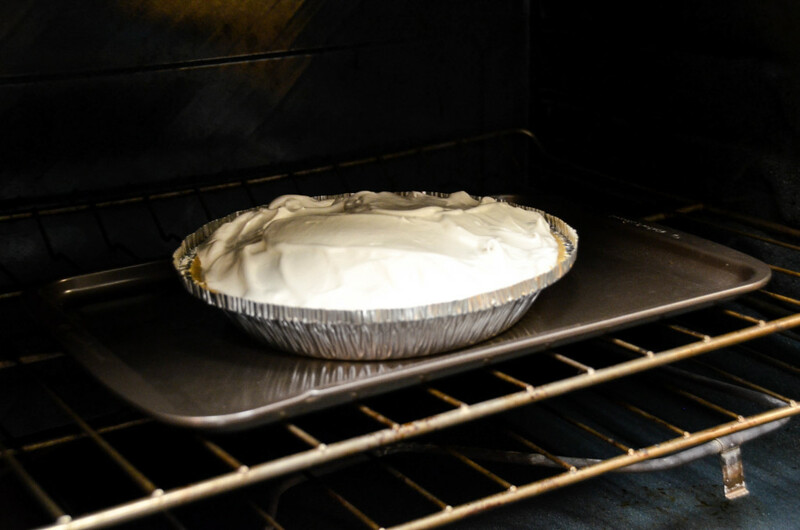 If you’d like to serve a cold pie, wait until the pie has cooled properly before placing it into the fridge. 18. Slice and serve—carefully, to keep all three layers intact. And enjoy! Words of comfort from us at Spoon: This recipe is quite the temperamental one, so don’t despair if your pie doesn’t turn out perfectly when you put it on the plate. There are times when messy dessert is better than perfectly presented dessert—and this is definitely one of those times. Recipe adapted from Grandma’s Lemon Meringue Pie.